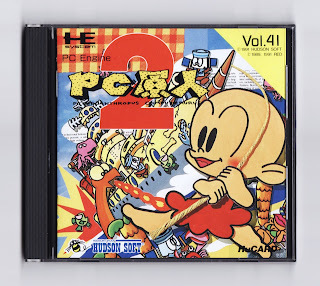 Back when it was released in 1991, I considered PC Genjin 2 (aka Bonk's Revenge) to be miles better than its predecessor. Today, I'm not so sure. Oh, there's no doubt that the second PC Genjin is a more polished affair than the first one, but that doesn't mean the former is superior to the latter--or at least it doesn't in my mind. 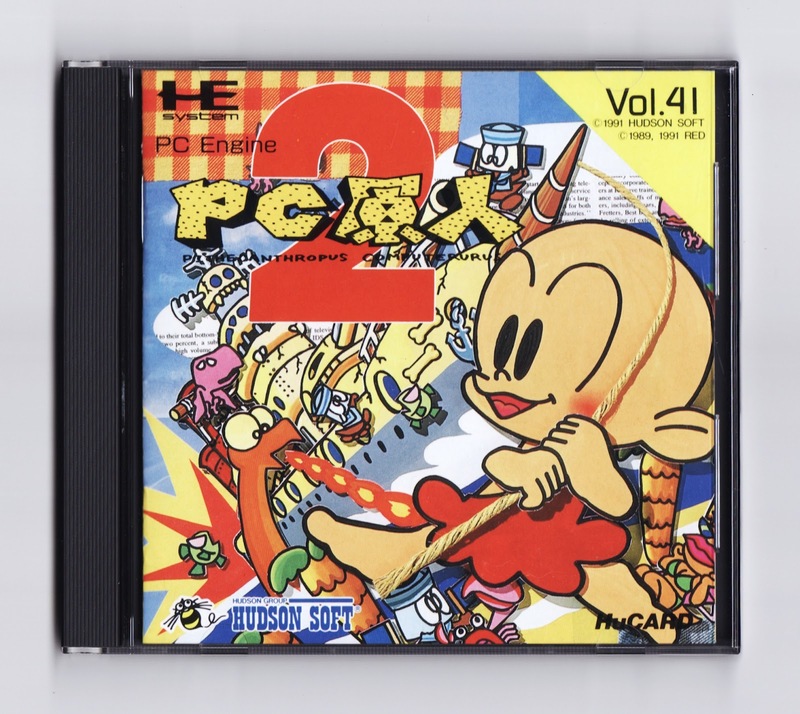 Which elements make me think Bonk's, er, PC Genjin's first pixelated outing bests his second? For starters, as much as I like the sequel's cuter and cleaner graphics, I prefer the grittier ones found in the original. (I'm especially fond of the original's enemy designs--although the bosses that can be found in its successor are also quite fabulous.) 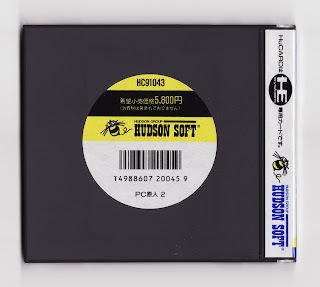 If forced to do so, I'd also choose PC Genjin's "chunkier" soundtrack over the comparably subdued one that was produced for PC Genjin 2, although I feel less strongly about that area of this pair of platformers than I do about others--such as gameplay. 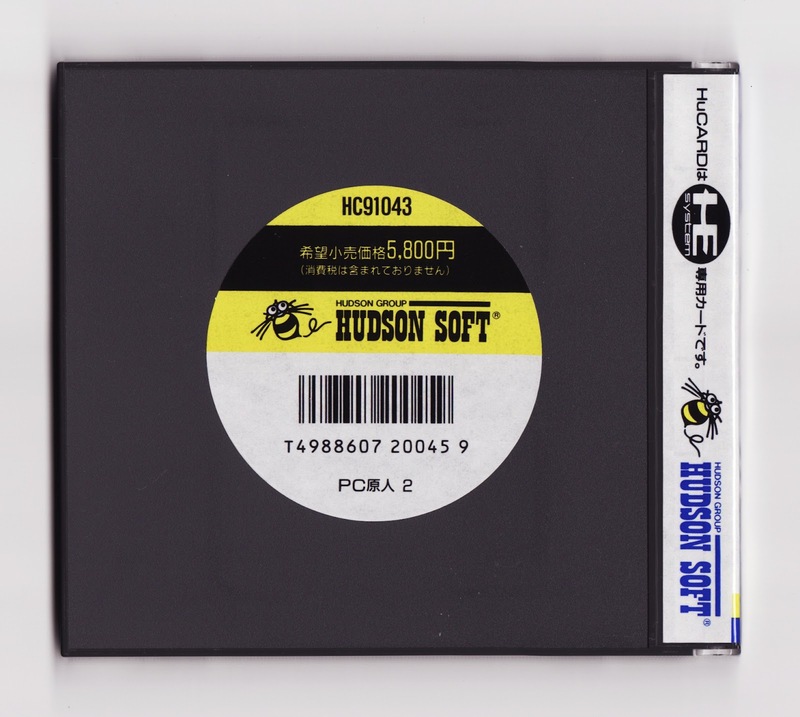 Speaking of which, that's another thing Hudson's 1989 release does better than its 1991 follow-up. Specifically, both titles feature a spin move (press a button to make the big-headed protagonist jump into the air and then press another, repeatedly, to make him spin/hover/fly) that is not only more useful in the older game, but more enjoyable, too. (In the newer game, the move is gimped--thanks to a slight delay that was, for some strange reason, added into the mix--to the point of annoyance.) Now, the HuCard otherwise known as Bonk's Adventure doesn't beat its descendant in every category. Case in point: The stages in PC Genjin 2 are the antithesis of straightforward, and the majority of them are a joy to explore. Also, many of said stages harbor bonus rounds and other secrets that are just waiting to be discovered. Finally, I'd be remiss if I failed to mention my favorite part of PC Genjin 2: The power-up that plasters the main character with makeup and provides him with a "kiss attack" that turns enemies to stone. In the end, I now think I prefer Red Company's initial effort to its subsequent one. That said, I consider both to be well worth buying and experiencing. That's funny. I always preferred the second one...but I might have to go back and compare them now. Justin: Actually, I think most people prefer the second one to the first one. You know me, though -- always have to be contrarian :P Really, though, both games are top-notch, in my opinion. You can't go wrong with either of them. So, who's on board the 3DS XL/LL train?